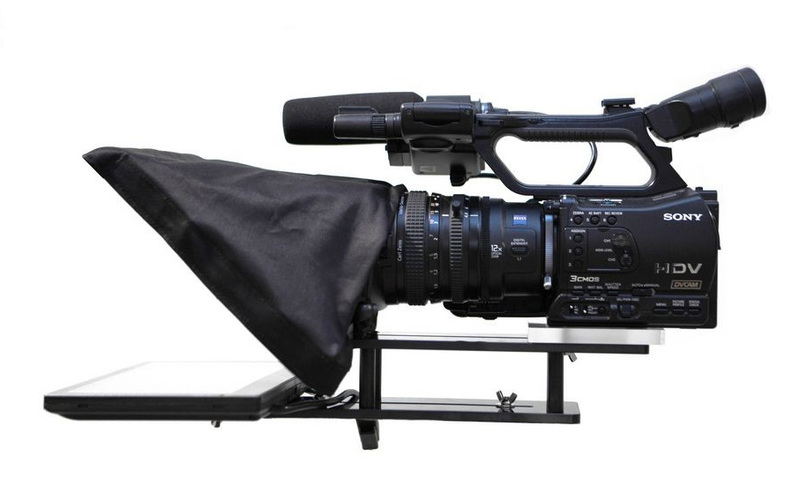 This professional teleprompter kit is designed for studio or on location use. It features an 10″ VGA Monitor, teleprompting software, and a teleprompter kit with hood, glass, and all required hardware. OSD Adjustments Brightness > Contrast > Image Flip > Volume > H Pos. > V Pos.